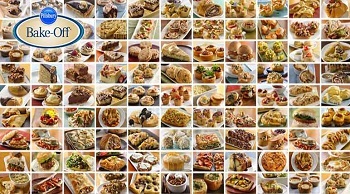 There are just a few short days left before the 45th Pillsbury Bake-Off will be held in Orlando, Florida. This contest is the biggest, longest-running cooking contest in the US and offers finalists a chance at a huge prize: $1 million dollars. The contest is so popular that what was once an annual event now takes two years to organize because there are so many entries. The entries for this year’s contest were submitted last year, and once they were received, each and every recipe (that met the contest’s published guidelines for required ingredients, etc) was thoroughly tested and reviewed by a dedicated contest staff until they had chosen 100 finalists. Once the finalists are notified, they all attend the Bake-Off event, where they have to produce three complete versions of their dish in just a few hours in a room filled with 100 mini kitchens and the other finalists. One dish is used for photos, one is made available for tasting (because the contestants love to share) and one tray goes to the judges, who evaluate every dish and choose the winners. The finalists’ recipes are all available online for people to try and review themselves before the judges have their say at the contest. While there are many prepackaged products given as qualifying ingredients for the Bake Off, there are also staple ingredients like flour, eggs, butter and cocoa powder. 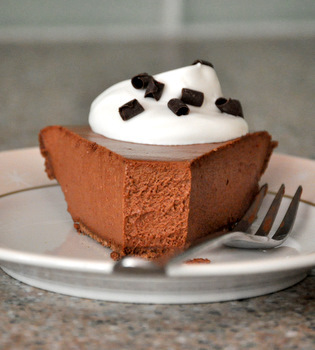 The resulting recipes – sweet and savory – are always very creative and mostly very tasty. I’m looking forward to seeing what wins this year and giving the new winner a try. Be sure to take a look at these classic Bake-Off recipes from previous years to see if they’ll inspire you to check out this year’s finalists and enter the next contest. 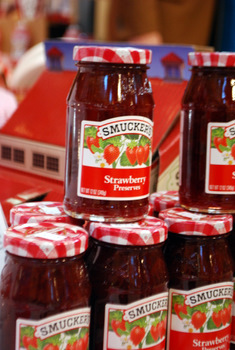 What is the difference between jam, jelly and preserves? Next PostNext What is the difference between jam, jelly and preserves?